Déjà vu is one of the most complex and subjective of all memory phenomena. It is an infrequent and striking mental experience, where the feeling of familiarity is combined with the knowledge that this feeling is false. While until recently it was an aspect of memory largely overlooked by mainstream cognitive psychology, this book brings together the growing scientific literature on déjà vu, making the case for it as a metacognitive phenomenon. The Cognitive Neuropsychology of Déjà Vu reviews clinical, experimental and neuroimaging methods, focusing on how memory disorders and neurological dysfunction relate to the experience. 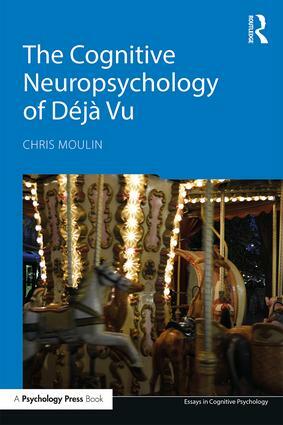 Examining déjà vu as a memory phenomenon, Chris Moulin explores how the experience of déjà vu in special populations, such as healthy aging or those with schizophrenia, provides new insights into understanding this phenomenon. He considers the extensive data on déjà vu in people with epilepsy, dementia and other neurological conditions, assessing neuropsychological theories of déjà vu formation. Essential reading for all students and researchers interested in memory disorders, this valuable book presents the case for déjà vu as a ‘healthy’ phenomenon only experienced by people with sufficient cognitive resources to oppose and detect the false feeling of familiarity. Chris Moulin is Professor of Cognitive Psychology and a senior member of the Institut Universitaire de France. After conducting his PhD on metacognition in Alzheimer’s disease, supervised by Tim Hollins and Alan Baddeley, he held posts in Bristol, Reading, Bath and Leeds before moving to France in 2012.